Hey, there! Glad to meet you! Welcome to the wonderful and wacky world of job hunting. I suppose, since you’re reading this, that you’ve decided you didn’t want to stay put in your current situation. Congratulations. Sometimes that can be the hardest part. Whether it was your own control or someone else’s, it’s where you are today and where you are supposed to be. So breathe, relax, and let’s partner up to get you where you need to be or want to go. The job hunting process does not need to be complicated. It’s not like you’re building rockets, but you definitely need to know how to navigate this tricky scenario. This book was made to help in that navigation. A way to declutter, reverse engineer and simplify the process of finding a job. And maybe keep the stress levels a little lower. So the idea behind this program was to make this a two-way street. There will be assignments, and a calendar is mandatory. If you already track your daily tasks and time, this will not be a hard transition. If you’re the type who can wing your day together, that won’t work in this case. You will be calendaring. I do not want to just regurgitate a bunch of information, spewing words at you in hopes that you take a piece or two and try to alter your approach to the job hunting process. I want to alter your entire mentality. It needs to be adjusted to take into account the ever-evolving trends behind the hiring process. Hiring managers, recruiters, and decision-makers everywhere are constantly trying to outsmart the recruiting process. They are trying to reduce lead times for filling open positions while filling those seats with actual real talent, which equates to a return on investment (ROI). If they spent $2,000 to identify candidates for that open position, you must be able to at least get them that money back in terms of productivity once you’re in that role, and sooner than later. The quicker they can get butts into seats, the more efficient their workforce, thus the more profits they make. We need to be thinking about these people’s motivations when we approach them and ask that they talk to you for an hour. Why should they spend their time on you unless you offer them some sort of value? What can you offer them? Can you save them money? Make them more productive? Build revenue? That’s what they want. That’s what they need. That’s what they’re looking for in a candidate. Remember, no one owes you a job. No one says, “Here’s some free money. Don’t worry about doing anything for it.” It’s like the NFL. It’s a “What can you do for me” league. That’s how corporations are running these days. Retirement parties are not even in the mentality of this new generation of workers. In most cases, they just need to make it to next Friday. Well, that’s inexcusable, because some people actually can save money AND go on a vacation or two every year. Why can’t that somebody be you?What do you know about resumes these days? Have you made yours logical? No one wants to be crinkling their forehead at 4:30 on a Friday when they finally get around to looking at resumes. Not even if you were a fit for the opening. Remember, hiring managers have to stop what they’re doing to put on their “hiring manager” hat. I’ve seen this first hand, and trust me, it’s a burden for them. They don’t know you, nor do they know if you are a fit, when they come into the office that. On this important document, you need to show them why you are a fit. If you don’t, they will move onto the next candidate who’s submitted a more refined, pragmatic resume. Also, for more impact, use metrics. But more on that later.Remember again: let’s simplify this stuff. Let’s learn how to adapt the right habits to accomplish two important goals. First, to lay the foundation of a solid, daily work ethic. And second, to formulate a plan for success that identifies not just a job, but rather the right career. Wow! If you are looking for a real career you came to the right place! Matt’s knowledge has helped catapult my career. I really enjoyed this book. It was an easy layout and felt like I had a partner during the job search. I actually streamlined it a bit because I am not patient and realize a lot of it you really do need to remain calm and stay patient with because it is a job search. I actually left some boxes unchecked. That’s another cool thing, you are held accountable and the check boxes make me feel like I am knocking things out! Staying up on it! Like a workout coach, for my career! And the pictures are funny, I enjoy illustrations in books like these, little playful. I would recommend and I am going to go back and read it over and make sure I cross off all the boxes! 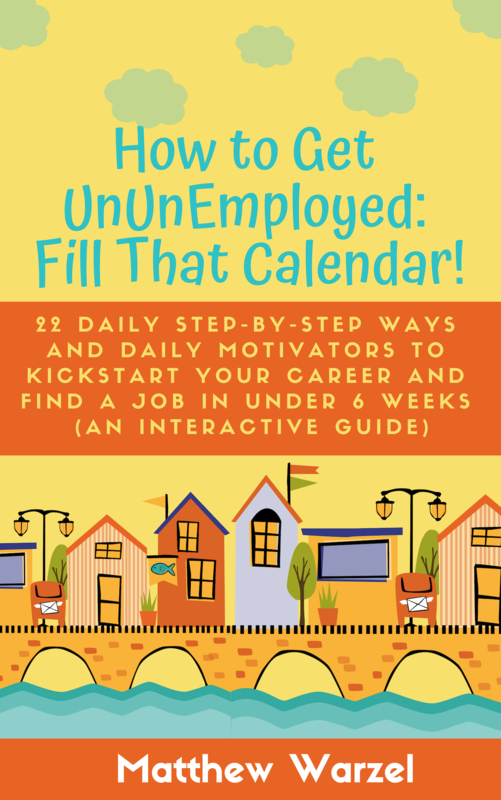 I wrote this book to help others find a job. I am not going to try to out-intellectualize you — I mean outsmart you. I just want to show you a nice little road map covering all the bases within the employment process. From cradle to grave. I hate that term. Anyway, this road map will be what you will need to do, step by step, to put yourself into the best position to get the career you wish to pursue. 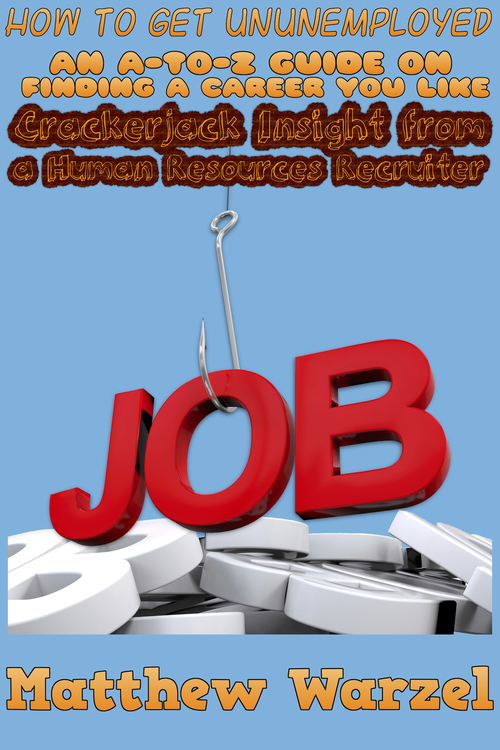 These ideas come from a recruiter’s perspective. I have spent time in staffing and in human resources both as a contractor and permanent employee and learned a lot. The thing I learned most from the inside is what hiring managers are thinking. What they are looking for in a candidate and, more specifically, what they’re not. From what types of resumes are being looked at these days — and, yes, there are ways to easily get yours thrown into the trash, even if you have the skills, if you don’t present them properly — to recruiter blacklists that can permanently take you out of the entire recruiting process for companies you may be targeting. Some of the topics I cover may inspire additional research on your end. That would be nice. Some might lead to an entirely new way of setting priorities, developing and managing your schedule, making task lists and networking full time. That would be the goal. Some of this information may build you an entirely new perspective on your life. That would be flattering. I’m not going to change your entire life with this book, as some career experts preach. I mean I will still be giving it a sincere chance. Piggybacking (I hate that term) off that second notion, the goal is to recreate your way of living, because some of you might not know exactly what to do each day when ’you’re not being told by some superior. Some of you are already taskmasters and already organize your daily routine on your calendars. That’s half the battle. To those folks, this book will help with suggestions about what to plug into that eight hour day. Enough with all these “I’s” now. Let’s ’get to you. This book isn’t going to do the job for you. Like a screenplay, you have to find the right spot to begin your tale. Where in your life do we start? Some of you might be employed, pro-active job-seekers. Some of you might have just receiving their first pink slip after working at the same company for the last 30 years and can’t face retirement yet. Let’s cover everything. Awesome book, Matthew definitely knows how to get you back into the work force. I would recommend this book to anyone who needs the extra push and assistance in today’s tough job market. He knows what he is talking about. Matt did a great job explaining the actions needed to get back into the working world. With the difficult task of entering back into the working world his insight was spot on, and he understands what steps to take to differentiate yourself from others. GREAT READ!